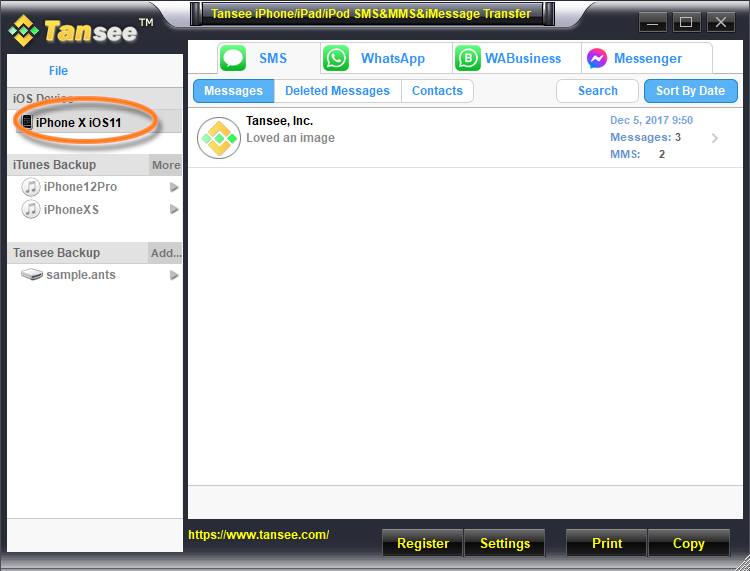 Tansee iOS Message Transfer - Backup & Print iPhone/iPod/iPad SMS & MMS & iMessage, WhatsApp messages to PC, Facebook Messenger Messages to PC. Retrieve Deleted Messages directly from iPhone and iPod and iPad. - Print Messages out and have them be seperated by date and "sender" and "receiver". 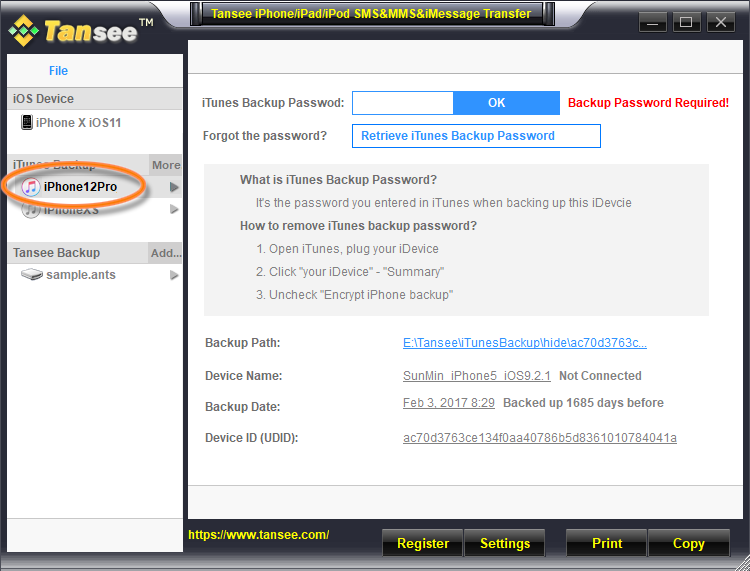 - Retrieve Deleted Messages Directly from iPhone/iPad/iPod without iTunes backup. Backup to any folder: You can easily and quickly backup your SMS & MMS & iMessage from your iPhone, iPod touch, iPad to your PC. 5,Quick Email Support! Tansee has established two support teams for building a fast response to customs. Any questions, email to support Team, we will answer your e-mail within 24 hours all year round! 6,Upgrade Free! Just one time fee. When new version available, you will be notified by the program. 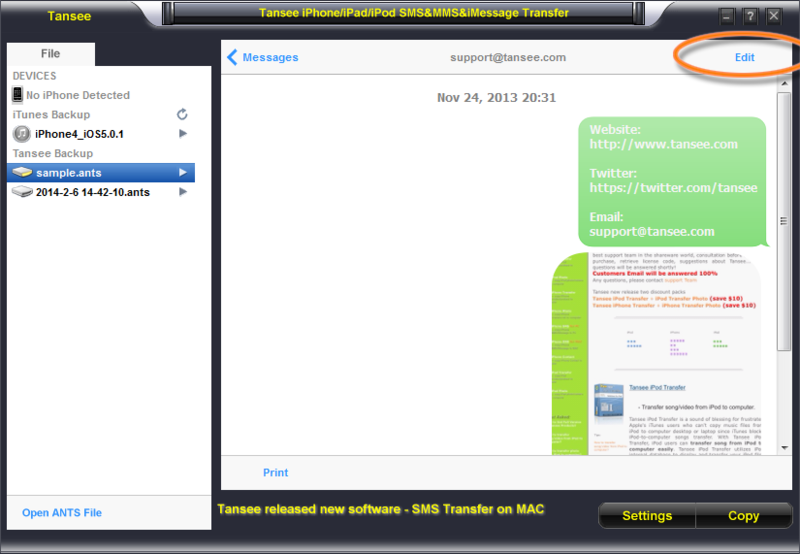 Tansee iOS Message Transfer step by step user guide available. Just follow the steps, easy copy all your iPhone/iPad/iPod SMS & MMS & iMessage to computer. Try and get the full version now for just $29.95!! Are you looking for the MAC Version? Click here!